Flower power! 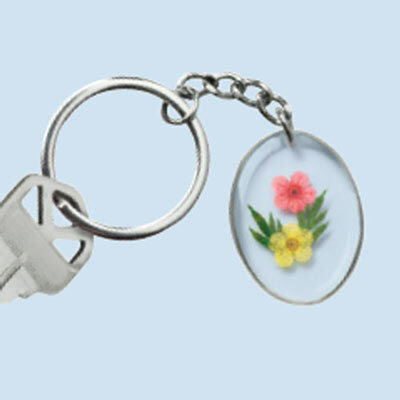 Keep a bit of garden beauty with you wherever you roam with this lovely, and useful, Floral Bouquet Keyring. Clear acrylic teardrop holds real flowers inside – perfect for nature lovers and gardeners alike. Silver-tone chain and clasp. 2"l pendant with 1"l chain.